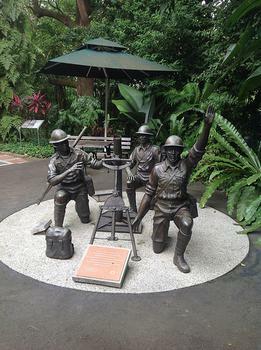 Small but well-implemented commemorative museum for the last stand of the Malay Regiment in World War II's Battle of Bukit Chandu. Small but well-implemented commemorative museum for the last stand of the Malay Regiment in World War II's Battle of Bukit Chandu. If visiting here, make a short detour to the free Canopy Walk next door (a part of the Southern Ridges Walk), an elevated footpath through the jungle offering nice views of Singapore's heartlands.